Marco’s Florence – Was it Verrocchio or Leonardo at the Bargello? On an early spring day in 1475, a young girl sat on a stool in the workshop of the Italian master, Andrea del Verrocchio. A fresh bouquet of wildflowers had been given to her just before she sat in the master’s studio. Born Andrea di Michele di Francesco de’ Cioni, Verrocchio was well known in the halls of Medici power in Florence during the early Renaissance. His study of this particular young girl rests on a stand in what is now called the Sale Verrocchio – a small second floor gallery in the Bargello Museum in Florence. Museo del Bargello, in the heart of Florence’s Medieval city center, seems an austere and perplexing location for yet another extraordinary collection of art. 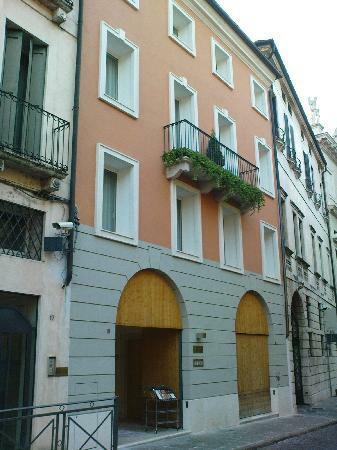 This was the seat of the Podesta, the Chief magistrate of the city for centuries and the place of execution for nearly an equal number of years. Bargello’s imposing crenelated tower, which competes in scale with its nearby neighbor the Badia Fiorentina (Abbey of Florence), pierces the skyline of the city. To climb the long exterior staircase of the courtyard is to literally rise above Michelangelo (a collection of Buonarotti’s works occupies the ground floor gallery) and arrive in the the midst of invaluable art patronage: Donatello’s David, the gallery of the Della Robbia workshops, and much more. Many visitors to the Bargello are, by the time they arrive at the Sale Verrocchio (The Verrocchio Room), too tired to pay much attention to the beauty of the works contained therein. The late afternoon sun shimmers through the wave-aged windows as noise rises from the streets below and on top of fatigue, the heat often erodes interest. My advice? Take a break and study, in particular, this singular cinnamon-hued marble masterpiece. One of Verrocchio’s students was a young man from the village of Vinci, one Leonardo. Verrocchio also worked with Perugino, Botticelli and Ghirlandaio – an incredible collection of the best artists of the day. As art historians have studied the young woman, a number of experts began to doubt that only Verrocchio, and perhaps not Verrocchio at all, carved the bust. On several of Leonardo’s works there is a nearly identical style to the hands he painted. Here are some examples, next to the Damma Col Mazzolino. Note the striking similarity in the position of the hands. The elongated stretch of the fingers are nearly identical. One additional remarkable note about the resemblance of Da Vinci and Verrocchio’s work are from Da Vinci’s most famous fresco, Il Cenacolo, the Last Supper in the refectory of Santa Maria della Grazie Convent in Milan. During a recent visit to that Convent, I noticed the hands of St. Phillip, who stands three disciples to the left of Christ in Da Vinci’s fresco. 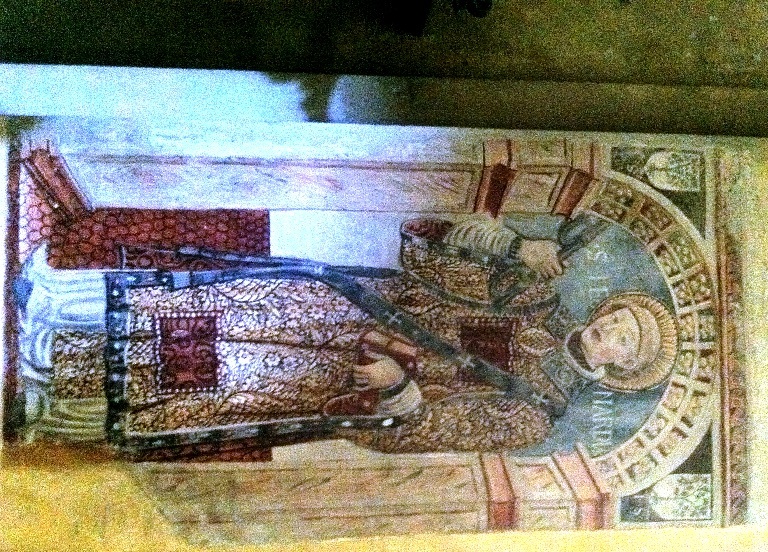 Note, again, the nearly identical position of the saint’s right hand in this fresco to the hands in the works detailed above. Was it simply coincidence that these similarities exist? Many art historians and critics believe that if Leonard did not actually carve the hands (at a minimum) on the young girl holding flowers, Verrocchio’s influence on Da Vinci’s style was both remarkable and deep. Such, perhaps, is the ‘science’ of art. While technologically advanced equipment can assess the age and condition of works of men and women, the true gift of the artist is in the mystery of their vision. Whether you agree with the discourse on these works of art, I believe those who take the time to study them will come to more deeply understand the effect of the Florentine masters, and their studios, on their students. My vision, when I study the young Tuscan girl in that small gallery in Florence, is of a young Leonardo, fired by talent and desire, absorbing and learning from every mark of his master’s chisel, every stroke of paint on canvas. Da Vinci’s contemporaries, like Perugino and Ghirlandaio, were at hand to watch, sketch and stare in wonder at the creative energy so perfectly expressed by their teacher. Each of Verrocchio’s pupils learned to create their own work, while paying homage to the genius of the man who taught them. I will conclude this post with two images. One by Verrocchio, discussed in this blog, and the other by one of Verrocchio’s students. Yet another opportunity to compare and consider the comparative work of masters: Verrocchio and . . ? When you have had the opportunity to explore and experience Pisa, I recommend heading to the sea. The Arno River, which divides the city of Pisa, empties into the Mediterranean Sea at the small village of Marina di Pisa. You follow signs out of the city for Marina to Pisa, Mare (the sea) or Tirrenia and you will find yourself driving along the final kilometers of the Arno. Sycamore trees shade the entire distance of the Lungarno Gabrielle D’Annuzzio, the road that traces the south side of the river between Pisa and the sea. These trees have lined this narrow road since I was a child. My father often drove our family on this same road to visit our landlord and his family in Pisa or to head further on to Pontadera and Florence. In the days before the superhighway that now connects Pisa and Florence, this was one of the main roads connecting those cities. On fall days, when the leaves scatter across the road and a golden curtain of season’s ending fill the air, the memories of my early years in Italy are particularly clear. As you enter Marina di Pisa (about ten minutes from the outskirts of Pisa) you will see a parking area and some old fishing stalls on your right. famous by Michelangelo) line the bank of the river. As you look north, you will see some fishing huts on stilts, their nets hung from large poles above the water. On clear days from this quiet parking area you can see north up the coast toward the Cinque Terre (the Five Lands). The long arc of the coastline invites further exploration and the desire to walk along the sea (read on) strengthens. 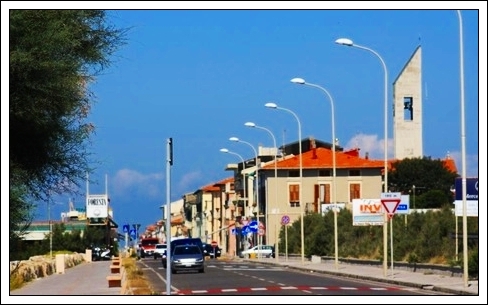 The town of Marina is Pisa is a very small and unassuming place. One main road leads you through the town to a sharp curve to the south. It is from the city front park you can see south along the coast to the port city of Livorno. If you have time, I recommend leaving the main road and exploring the side streets of the town. Laundry hangs from balconies, a few dogs amble down dusty, quiet streets and a few locals peer inquiringly from their front doors. This is a place that seems straight from a 1950’s Italian film; only during the months of July and August is it filled with daily or seasonal visitors who desire the sun and sea. 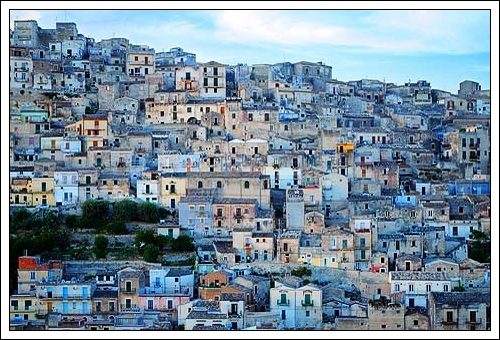 During the other months of the year, the town folds up on itself and just exists as do so many village across Italy. 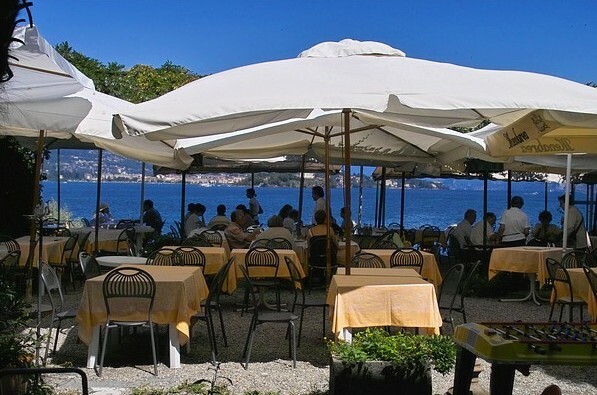 Many excellent seafood restaurants line the ‘beach’ as you head south along the coast. I use the word beach a bit loosely , as visitors literally lay out on huge boulders brought in to protect the sea front. There are stretches of level beach, yet even those are stone. If you plan to spend time getting some sun and sea, bring thick towels and plenty of padding! Our family was fortunate to live in this small village during my father’s military assignment at the port of Livorno. My brother and I attended the school at US Military Base at Camp Darby. We shopped in the stores, ate in many of the restaurants and actually stayed in a hotel along the main road when we first arrived. 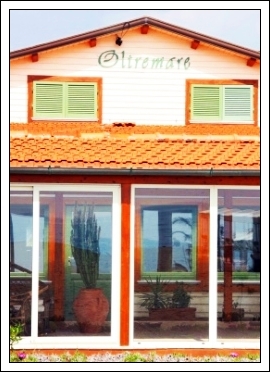 There are plenty of ‘private beach clubs’ along the road as you drive into Tirrenia. You are welcome to approach any of them if you desire a more private beach experience; be aware, however, that these places all charge fees since they provide a place to change clothes, umbrellas and beach chairs. The town is becoming more popular for the summer season visitor. Private villas abound on the eastern side of the main road, and a short trip to view some of them is well worth the time. You can continue on the road that parallels the beach all the way to the port city of Livorno. My next blog will be all about that interesting city. The closest cities, to use the train system, are Pisa or Livorno. Both have regular service to Florence. From either train station you can take a bus, or if you prefer you can take a taxi. Negotiate the rate with the driver before you leave the station and before you get in the taxi! Average fares between Livorno Centrale and these villages is Euro 40 each direction. Between Pisa Centrale Station and the villages, Euro 45 each direction. I’ve eaten here a few times. A VERY informal place with exceptional seafood. Often crowded, so I go either early for dinner. The latter you go, the busier this place is during season. Call ahead to make sure that the restaurant is open if you want to eat here off season, especially November through April. I’ve eaten here twice. It is a pretty pricey place, but in exchange for the prices you get one heck of a meal. 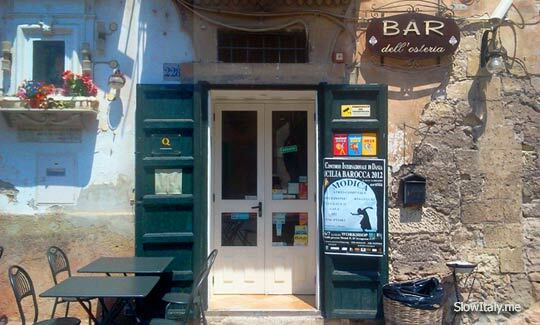 This is Tripadvisors #1 rated restaurant in Marina di Pisa. Make reservations for certain – and you will enjoy a great meal. You are only twelve to fifteen minutes from the center of Pisa from this village. 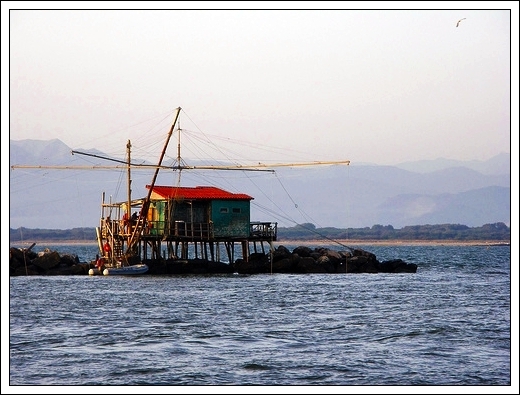 If you wish to find very inexpensive accommodations along the sea while exploring the city of Pisa, Marina di Pisa offers some alternatives for you to consider. Do not expect luxury AT ALL in this small village. These two hotels offer acceptable accommodations, but please – again – do not expect big city comforts. This is a small fishing/seaside village, after all! Please use the links below to go directly to the property’s web site. The place offers the simplest possible accommodations, while keeping clean and safe. Run by an amicable Marina di Pisa family. This place is like Disney World on Italian steroids. Water park, close to beach, huge pool. Accommodations are mostly apartment like spaces. Clean and safe. A bit more upscale than the Manzi. reservations in advance. 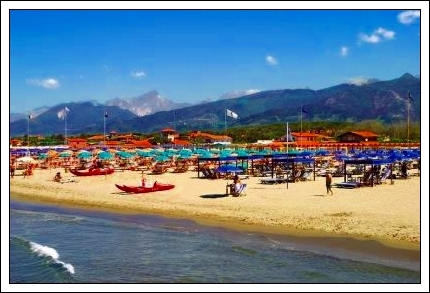 Season in Tirrenia runs from mid June to early September. Located just off the south side of the main traffic circle, this unassuming place is near a gas station, of all things. Don’t be fooled by all of that. Specialties include shark (Squalo) and other fresh and beautifully prepared seafood. 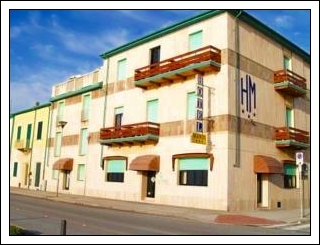 As it name implies, this is a large, convention style hotel located directly on the beach. 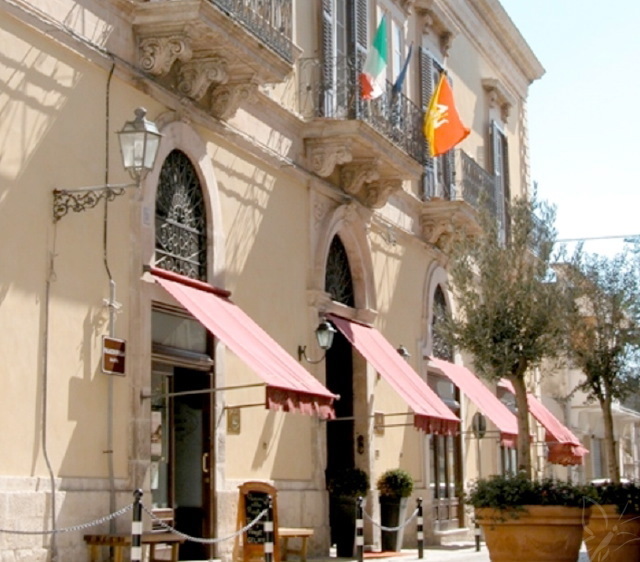 Close to the main traffic circle in town, it has a loggia full of shops – everything from magazines to gelato. Large private beach areas are reserved for guests, complete with umbrellas and beach chairs. Room rates average Euro 110.00 per room per night. Located very close to the main traffic circle in Tirrenia, this is an old stand-by. Do not expect fancy or a lot of frills, but the location and cleanliness of the rooms – added to the rates which are between Euro 36.00 for a single to Euro 67.00 for a large double – make it a very attractive choice. 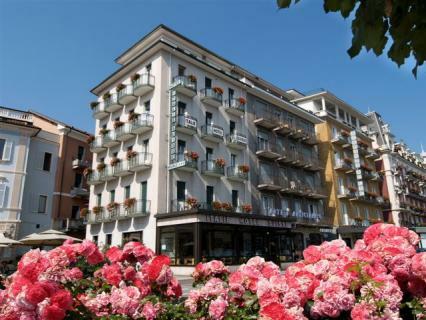 Located about 300 meters from the main traffic circle, this lovely small hotel offers very affordable rates, between Euro 40.00 and Euro 60.00 per room per night, with very good service. Guests can access many of the private beach clubs (remember, you can enter – just pay for the day and you can use the facilities) easily from the hotel. Located in the Veneto region west of Venice, the city of Vicenza is a confection of marble balustrades, exquisite architecture and luxuriant hillsides. Within the confines of the medieval walls, little evidence remains of the intense bombing raids that nearly destroyed the city during World War II. 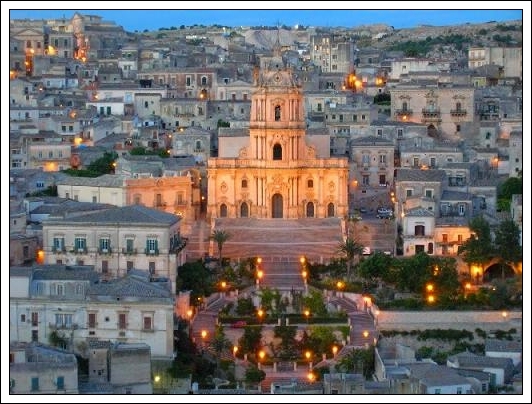 Now, pleasant wide boulevards and huge piazzas fill with locals during the evening walk, the passeggiata. This is one of Italy’s wealthiest cities, thanks to both a silk trade born in the renaissance along with a burgeoning gold jewelry trade. Designer light fixtures illuminate shop windows along the Corso Andrea Palladio. In the Piazza dei Signori, Vicenza’s main square, the elegant Palladian Basilica lines one side of a sparkling white marble square. This is a lovely, peaceful city. 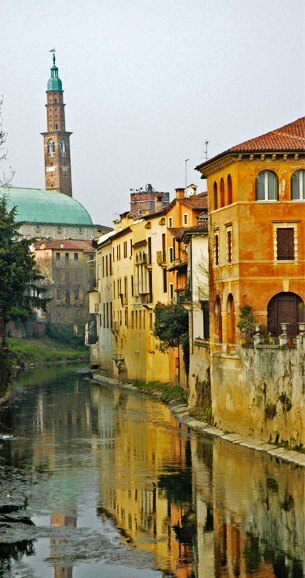 Vicenza is located an easy one hour train ride west of Venice. If you are traveling by car between Milan and Venice, I highly recommend at least a one night visit to this gorgeous city. 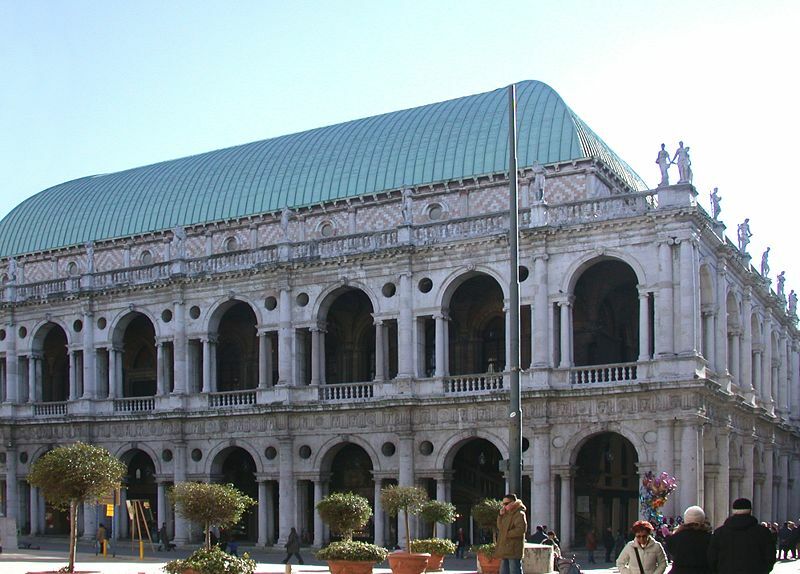 We explore Vicenza during our Northern Italy Tours. While one day might seem sufficient, it is barely enough time to grasp the remarkable history of a city once tied to La Serenissima, Venice. Numerous navigable waterways once connected the trade of Venice directly with Vicenza. Wealthy merchants began building their country homes between city and sea. 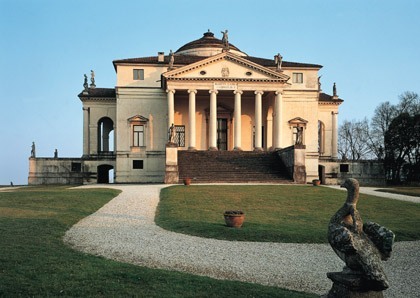 Italy’s most famous architect of the period, Andrea Palladio (1508 – 1580), literally built his reputation stone by stone in the hills and along the river near Vicenza. Our guide, Roberta Parlato, (www.robertaparlato.com) is a native with sun streaked blond hair, clear blue eyes and an energy that belies the seeming peace of the city. The enthusiasm she feels for the city and its history is evident. 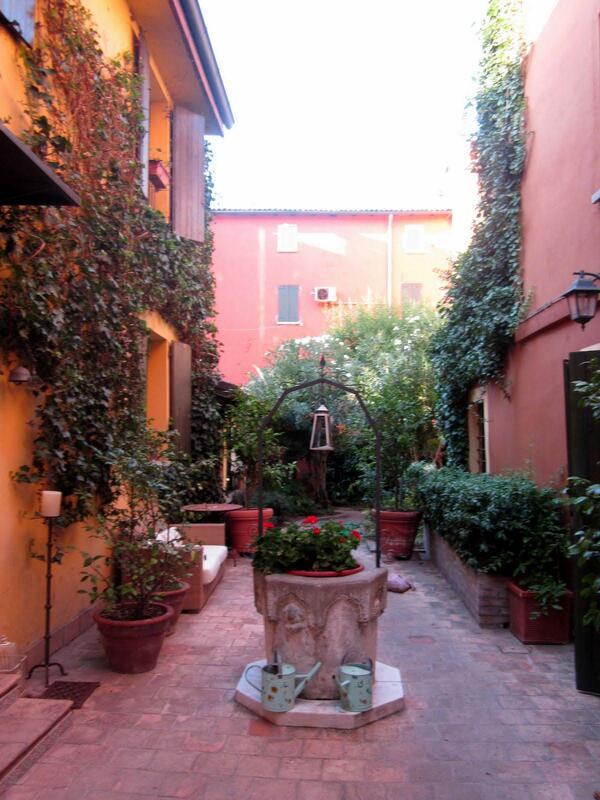 She offers a wide array of tours across the entire Veneto region. We always enjoy our time with her. Our day in the city begins at the Piazza G. Matteotti, a lovely square that fronts the Palazzo Chiericati, one of Palladio’s masterpieces. The building is now one of the city’s Civic Museums. (www.museicivicivicenza.it/). Roberta leads our small group through the garden of the Teatro Olimpico(www.teatrolimpicovicenza.it/), to the theater entrance. 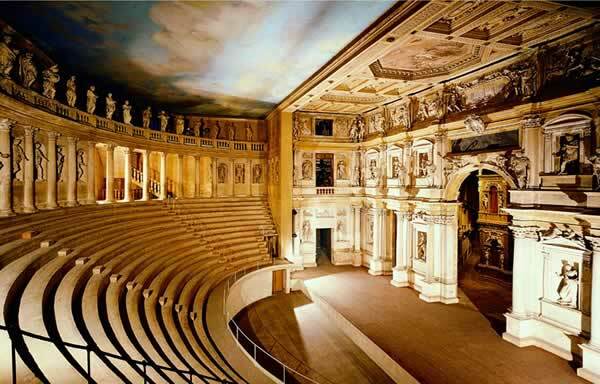 The Teatro, built between 1580 and 1585, is the first such building in the world constructed entirely of masonry. The performance season offers a plethora of options for those interested. The design of the theater is full of “trompe d’oeil”, tricks of the eye. Despite the stage’s restrictive dimensions, it appears that we are looking into a city square off of which six separate streets fade in the distance. Truly remarkable. 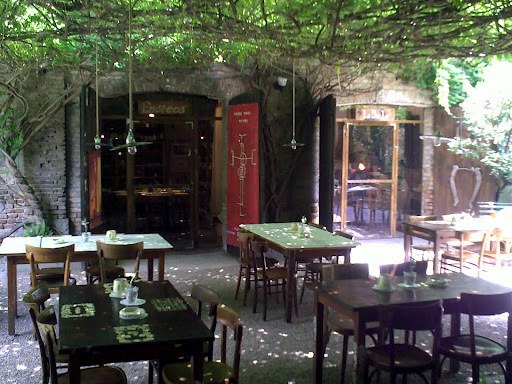 After visiting the Teatro, we enjoy a lovely lunch of tramezzini, small flavorful sandwiches. The Bar Opera, located outside the gates of the theater garden, (it-it.facebook.com/pages/OPERA-food-drinks/43623236530) offer delicious and fairly priced meals served in the shade of a gorgeous 16th century loggia. 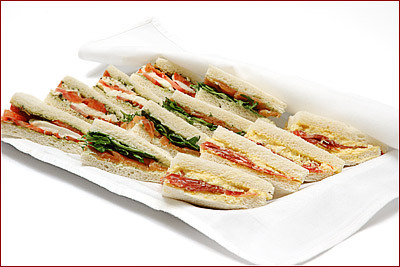 Accompanied by a spritz (white wine mixed with sparkling water), the light lunch is a perfect break during our day. 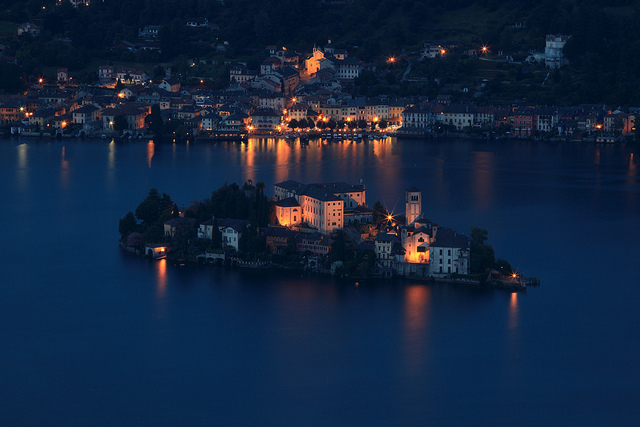 We take taxis for the easy ten minute transfer to the Villa Valmarana ai Nani. ( www.villavalmarana.com/en ). Located above the aptly named Valley of Silence, it is a gorgeous villa in a tranquil setting. Francesco Muttoni built the villa in 1720. The Palazzina (small palace/villa) and the Foresteria (building originally used as a greenhouse and limonaia) contain frescoes by Giambattista and Giandomenico Tiepolo on the interior walls. The paintings reflect an array of diverse activities, some focused on local farming of the time, others presenting visions of distant lands. The villa decorations are gorgeous and Roberta details some of the most notable frescoes during our visit. From the Villa Valmarana, we negotiate a narrow, rough, path downhill to one of the most famous Palladian villas in the world, La Rotonda ( www.villalarotonda.it / ) Sited on the top of a hill overlooking the city, the villa’s exterior displays the colonnaded style for which Palladio is so famous. His designs influenced buildings as diverse as the US Capital, the White House and Jefferson’s Monticello. His approach to architecture strongly influenced Inigo Jones in London, as well. The villa’s main room is cavernous. 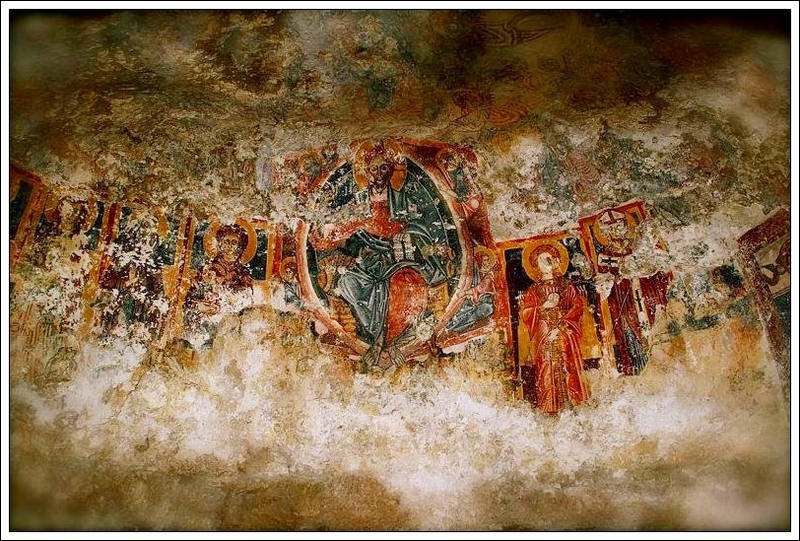 Frescoes cover the walls. Views across the city and countryside further underscore the perfect building site for this gorgeous villa. We bid farewell to our guide, Roberta, and head to our preferred hotel, the Relais Santa Corona. 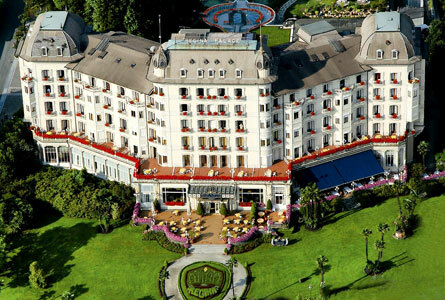 (www.relaissantacorona.it/hotel_eng.html). Located on the Contra’ Santa Corona, named for the nearby Church, the hotel is one of the few located within the city walls. We find that the hotel’s location offers easy access to the city, making for less tiring explorations. Rooms at this very new Relais are large, modern, extremely clean and very comfortable. The staff is accommodating, the breakfast buffet more than sufficient. For dinner, we recommend clients eat at Malvasia, (www.facebook.com/pages/MALVASIA-IL-RISTORANTE/109028052465997) a fabulous restaurant located a five minute walk from the hotel. Meals of traditional Veneto cuisine, supplemented by more typical Italian dishes, are all prepared with a focus on the freshest ingredients. On Tuesday evenings, jazz enlivens the venue. Antico Guelfo (www.anticoguelfo.it) is also one of my favorites. 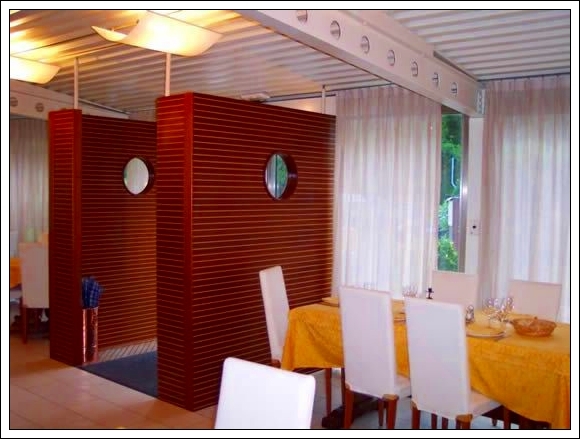 Located along the Contra’ Pedemuro San Biagio, it offers modern, clean interiors and a creative menu at very fair prices. The Guelfo is also an easy five minute walk from the hotel. 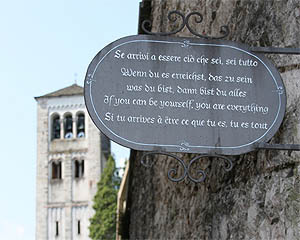 Should your time in Italy include a visit to the Veneto region, make a point to stop and enjoy yet one more unique experience in bella Italia! The Teatro is open from 9.00 a.m. to 5.00 p.m. (last admission: 4.30 p.m.) Tuesday to Sunday (closed on Mondays). Open March 10 – November 4 (2012 Calendar Year). Tuesdays through Sundays only. Note: Closed Mondays. 10:00 a.m. to 12:30m p.m. and 3:00 p.m. to 6:00 p.m.
Open every day of the week EXCEPT Mondays. 10.00 a.m. to 12.00 p.m. and 3:00 p.m. to 6:00 p.m. 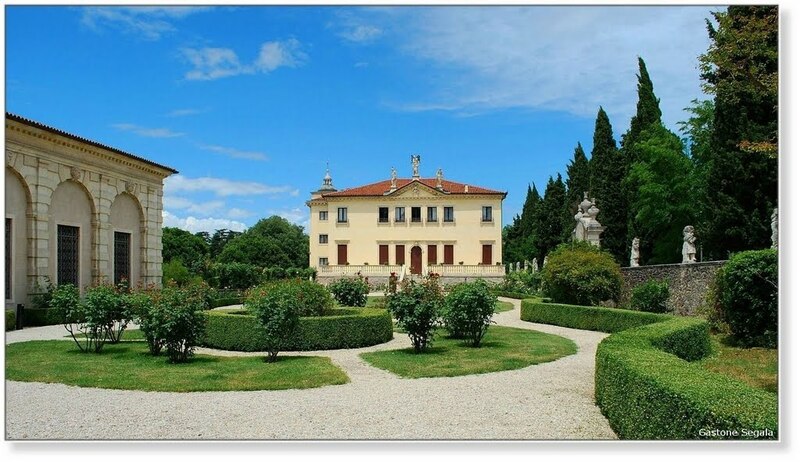 Note: You can ONLY visit the itinerior of Villa La Rotonda on Wednesday and Saturday. Tickets: Euro 5.00 per person (Note: Euro 10.00 per person on Wednesday and Saturday). The region of Emilia-Romagna is one of only a few provinces in Italy that does not touch the sea.What the region may lack in that access, it more than makes up for in the diversity and quality of its artisan products and meals. This is the heart of Italy’s very best food. The centrally located provincial capital, Bologna, is easily reached in only forty-fives minutes by train from Florence. In addition to being home to the oldest university in Italy, the city also offers unforgettable architecture, fascinating history and the most delicious food in all of Italy. 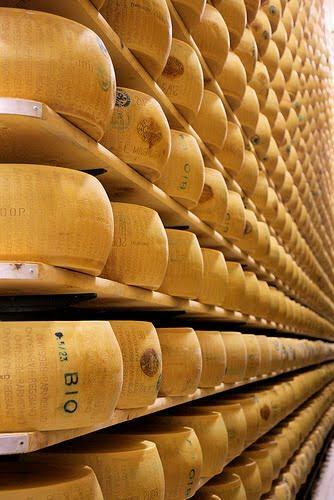 If you wish to understand the production of this region’s best products, you need look no further than Emilia-Delizia. 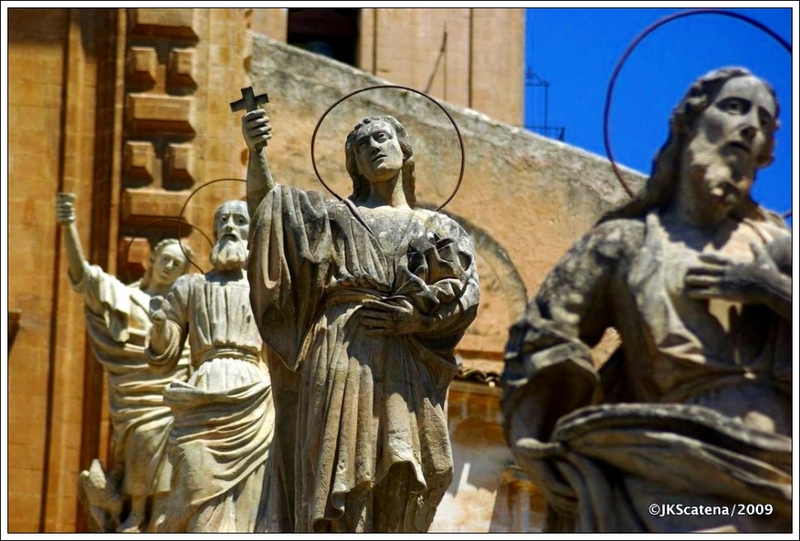 (http://www.guided-tours-italy.com/). Gabriele Monti and his staff provide exceptional service and offer a wide array of tours and tastings to satisfy the most demanding ‘foodies’ in the world. Our clients have enjoyed spending the day with Sabrina, one of the guides who works with Gabriele, on several tours to this region. Sabrina arranged the following schedule, one which you can easily follow on your own. I do highly recommend, however, arranging for a private guide and car. Your insured and bonded guide from Emilia-Delizia will also offer to join you in your rental car to assist in getting around to these various locations. We drove to the city of Parma about a forty-five minute drive north west of Bologna. After meeting Sabrina, we visited one of the finest producers of Parmigiano Reggiano in Italy-Consorzio produttori latte (C.p.l. Parma) (www.cplparma.it), located on the outskirts of that city. Sabrina easily explained the initial process of creating the cheese. It was not, however, until we entered the aging storage shelves in the rear of the building that we came to truly understand both the time involved in the aging of the cheese, but also the immense value of the product. Each wheel is valued at over Euro 800 and there were more than 800 such wheels in the warehouse. We followed our visit with a tasting of their cheeses. The true Reggiano had a sharp, almost vinegar ‘tang’, on the palate. The texture was dense but not heavy at all. 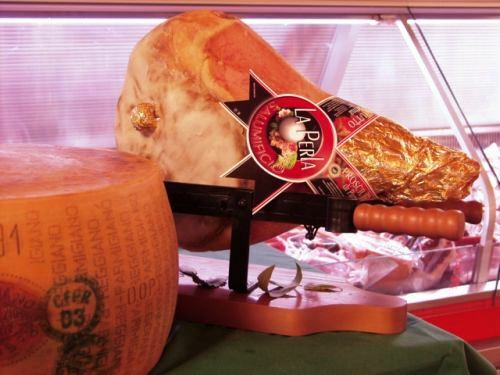 From the producer of cheeses, Sabrina brought us up into the hills above Parma to Salumificio “La Perla”(The Pearl). (www.salumificiolaperla.it ). For over twenty years, brothers Carlo and Fabrizio Lanfranchi have been producing what is acknowledged as the finest dried Parma ham (prosciutto) in the region. Our drive from the cheese producer took about forty minutes. 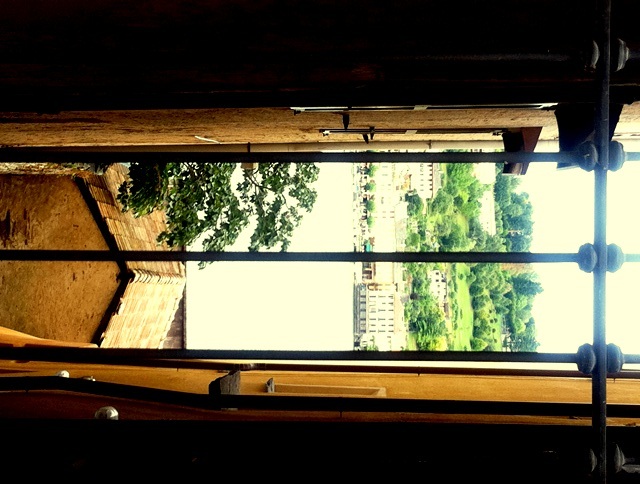 Located near the top of a lovely hill, the family’s estate consists of a ham aging warehouse below a large restaurant. After an introduction to the receiving, preparation and aging of the hams, we were lead upstairs for lunch. The food was unforgettable: a selection of their best prosciutto di Parma followed by several dishes of Tortellini in Brodo (freshly made pasts lightly covered in a broth of butter and sage). Dessert was a tray with various types of sweets produced in their immaculately clean kitchen. Wines, both white and red, along with ample fresh water, accompanied our meal. Coffee was available as desserts were presented. 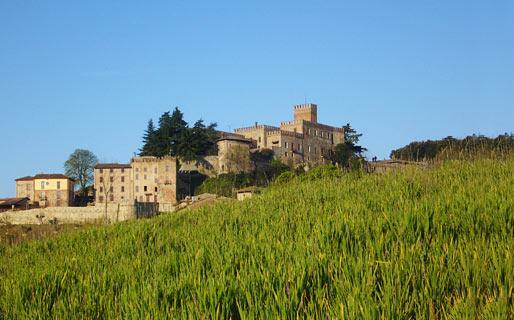 Well satiated, we left La Perla behind and headed to one of the finest producers of Balsamic vinegar in Italy, Medici. (www.acetaiamedici.it). An acetaia, in Italian, is where balsamic vinegar is aged. As with all artisan products produced in Italy, the quality control of the process for producing aged balsamic is tightly controlled. 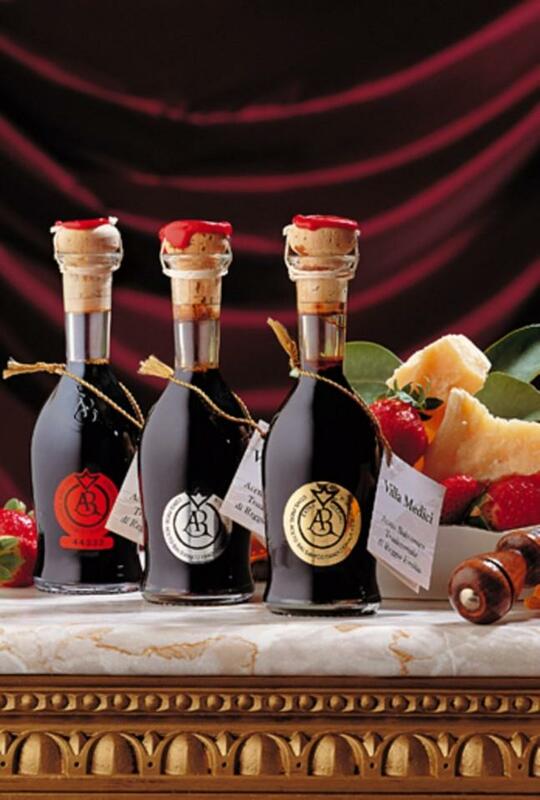 All vinegars that carry the Balsamico di Modena certification are aged a minimum of twelve years. In the case of the Medici acetaia, there are three levels of production: Red (18 years), Silver (25 years) and Gold (30 years). Signora Medici introduced us to the initial process of creating the vinegar. We visited the upstairs room where the barrels rested. As with all such acetaias, this was located in a high room where heat can rise and keep the room at a reasonably warm temperature, even in the coldest months of the year. All barrels have a small opening at the top. Across each opening is a simple linen cloth cover. This is a labor intensive, and loving, process. Each year, product is moved from barrel to barrel as the liquid evaporates. As the product ages, the level of liquid is reduced to a precious small amount. Different types of wood (cherry, oak, juniper, apple to chestnut) provide unique flavors and aromas to the balsamic. Signora Medici offered everyone a sample of their products. The dark vinegar is as thick as syrup, luscious on the tongue, further supplemented by sweet aromas. As we savored the “Red” level to “Gold”, the flavors became richer, more diverse and extraordinarily more complex. Once you have the original, you can never go back. The Medici family also produce an array of wonderful wines and, for those interested, tastings can be arranged. After bidding farewell to Sabrina, we headed back to our hotel in Bologna, the Hotel Porta San Mamolo (www.hotel-portasanmamolo.it/). This property is consistently rated one of the best hotels in the city. 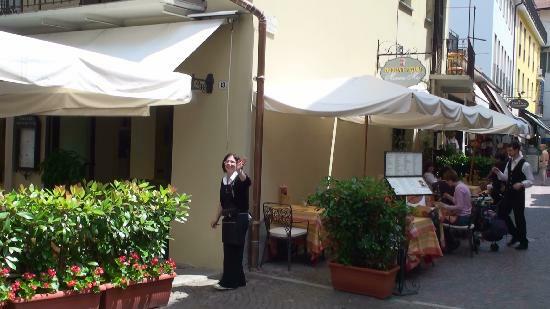 Located on the south perimieter of the medieval city walls at the San Mamolo gate (hence the property’s name) the staff are extraordinarily courteous and accommodating. The rooms are comfortably spacious and the breakfast buffet each morning more than adequate. 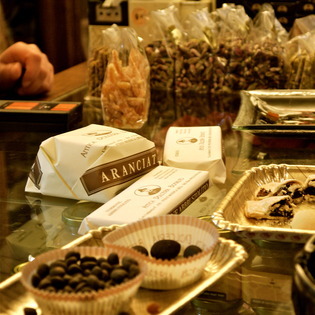 All told, our day in Emilia Romagna barely even began to satisfy our craving for the incredible produce of the region. Yet, all was easily accomplished with the guidance of Sabrina and the support of the staff at Emilia-Delizia. If you are headed from Florence to Venice, or vice-verse, give yourself the gift of visiting this extraordinary, and little known, region of Italia. 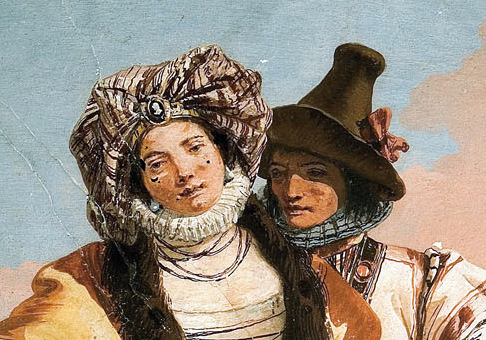 As we headed north to Vicenza, the next stop on our tour, we vowed to return – and soon! Call head for lunch reservations to assure you of a table and guided visit.